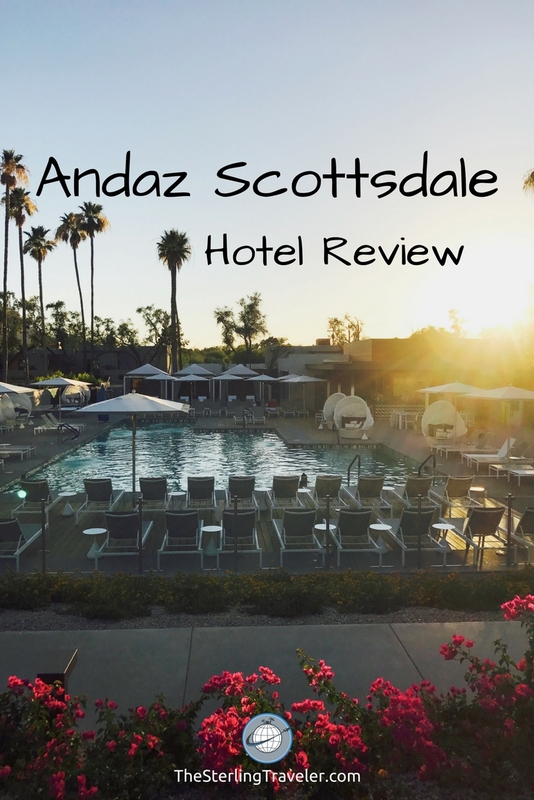 The Andaz Scottsdale Resort & Spa is not the typical resort in the Greater Phoenix area. Not only is it unique and interesting, but I found it to be paradise in the Sonoran Desert! 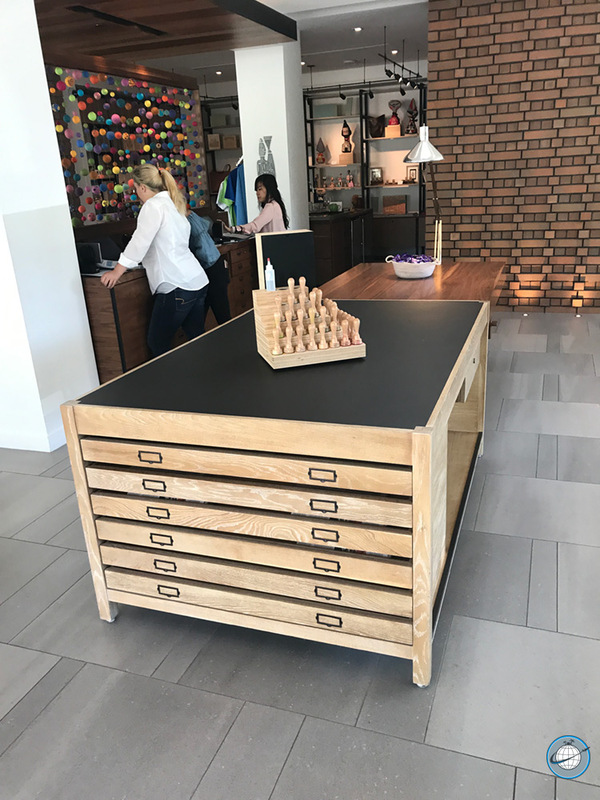 As one of the newest Andaz hotels in the Hyatt chain, I couldn’t wait to check it out. Andaz hotels are all unique amongst themselves with each one having a different look and personality. The hotels pay homage to the local areas they are in. 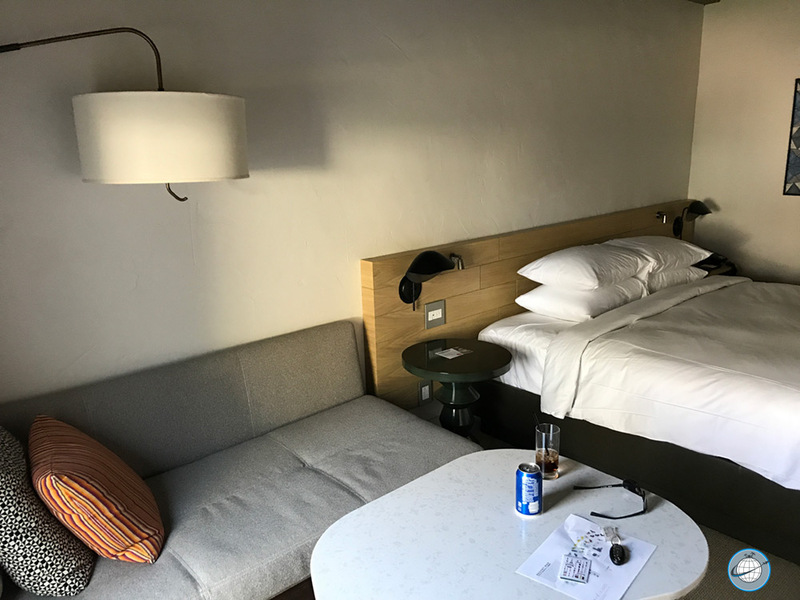 The rooms at Andaz hotels are not your “cookie cutter” style hotel room. 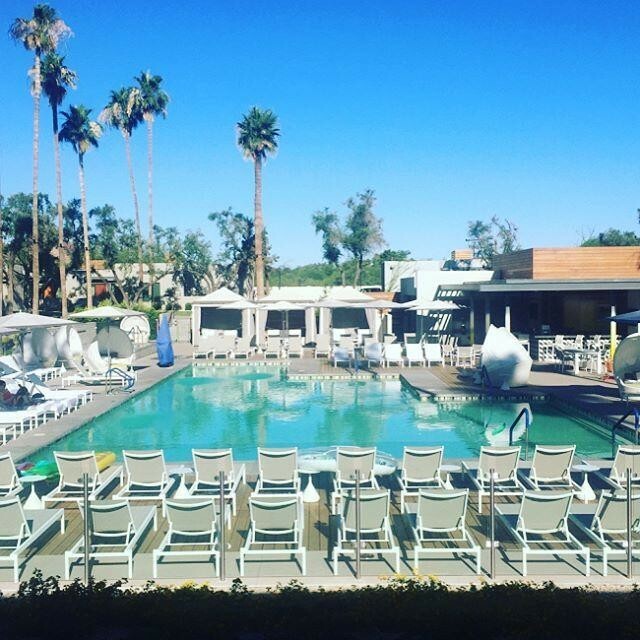 The Andaz Scottsdale lives up to it’s name as being a resort in all aspects of what a resort entails. 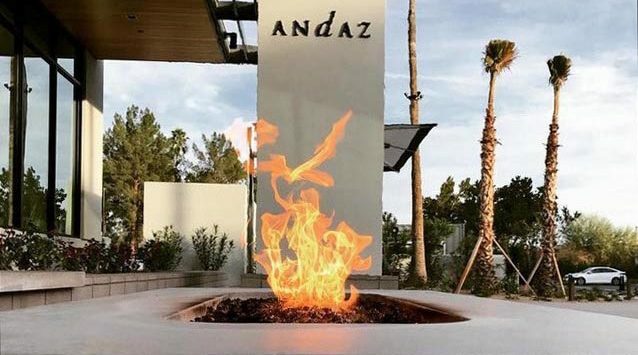 The Andaz Scottsdale is located just off Scottsdale Road near Camelback Mountain. Despite it’s proximity to a major road, it is secluded enough so that I never heard any road noise. There are 201 casita-style rooms and suites clustered among bungalows throughout the property. Works from local artists are on display throughout the resort. The open lobby is adorned with unique art. Local works of art are the mainstay in the gift shop, and throughout the property. Each bungalow is designated by a different color shade (as well as a number) to represent a painter’s palette. One of the unique features of this property is an area called the Retreat. It is a cluster of 4 bungalows that can sleep around 20 people total. The area has a private swimming pool only for guests at the Retreat. It is separated from the rest of the property with the perimeter road which encircles the property and the luxurious spa.The area is called the Retreat because it is ideal for company retreats. The main pool was warm and it was easy for me to find a lounge chair. It was late afternoon so that may have played a part in finding a lounge chair. Despite the heat, it was pleasant and relaxing to lay outside and enjoy the view of Camelback Mountain. 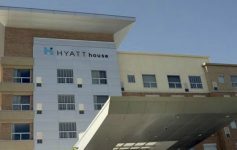 Hyatt’s website says Andaz hotels are boutique luxury hotels and I won’t disagree with that. For comparison, it is like the Hotel Valley Ho, which is a swanky “Rat Pack-era” hotel. 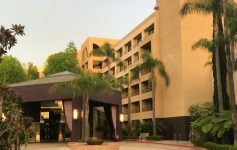 This Andaz is a category 5 hotel – which will set you back 20,000 points or 10,000 points and $125 on a points + cash stay. Arriving at the Andaz is not the same as checking into a standard hotel. A valet welcomed me, then escorted me to the open lobby. A host promptly greeted me and offered me an iced tea. It was close to 100 degrees outside so I quickly accepted it. We sat down on a couch together while she checked me in on an iPad. They call it an arrival, not a check in. I would go a step further and call it a welcoming – at least I certainly felt that way. Despite valet parking being included in the $35 resort fee and the resort fee being waived for being a Globalist, I decided to park my car. Parking is along the perimeter road so guests never have to park far from their room. I was somewhat surprised when I was upgraded to an XL King Room – just two room levels above what I booked. Don’t get me wrong – I never expect an upgrade or feel like I deserve one. However, when there are bigger rooms available it makes me wonder why I wasn’t upgraded into one of those, per published benefits of being a World of Hyatt Globalist. Hopefully I’ll get better upgrades on my future stays. Nonetheless, I really liked the room I got. It was big and spacious. There was an ample amount of seating but no desk. Personally, I think the absence of a desk is worthwhile as I don’t see this as a popular hotel for a business traveler. There are also bedside USB ports which is something I really wish more hotels would do. The bathroom is quite large as well, particularly the shower. 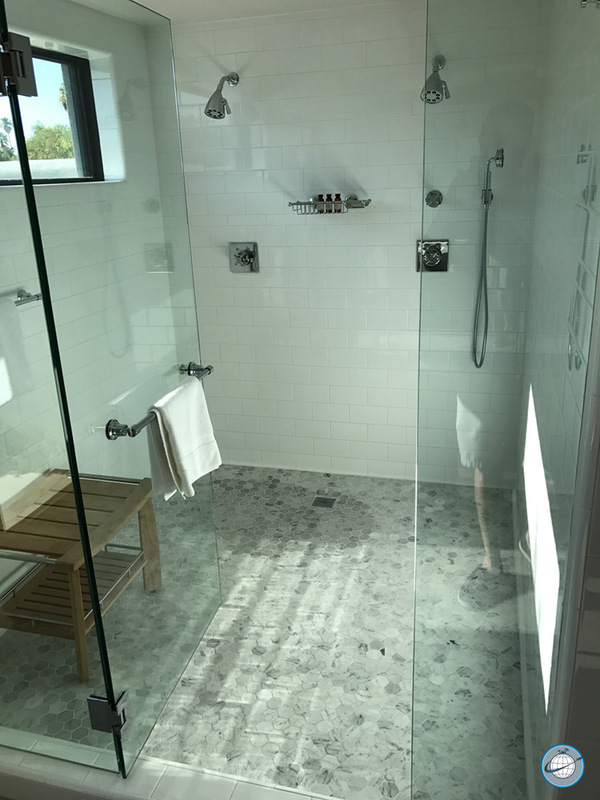 While there is no tub to soak in, the shower is a communal shower with two shower heads. Have fun! 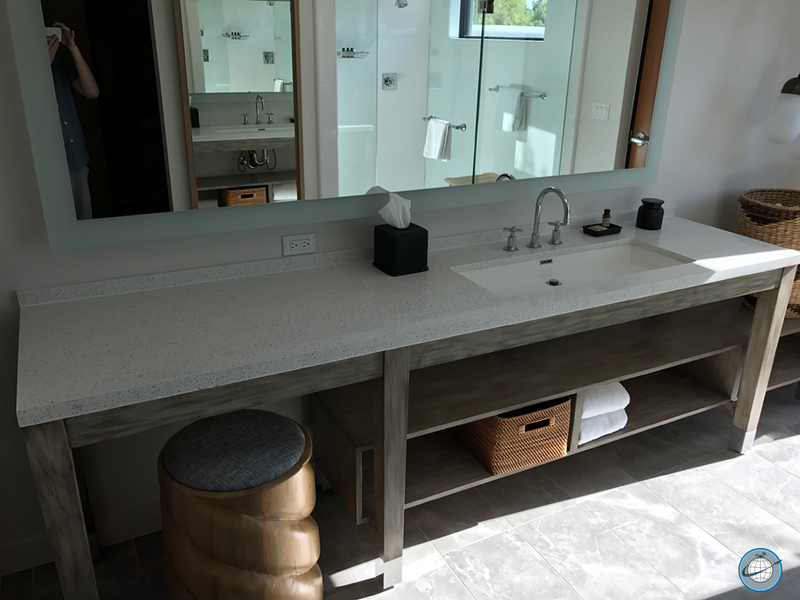 😉 Interestingly, there is only one sink with a seat next to it so two people can still get ready at the same time. Unique to the XL rooms is an outdoor area off the bathroom. The area is very private and tranquil. 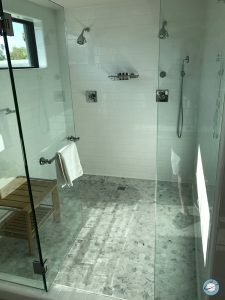 I have stayed at the Andaz San Diego (click here for the latest rates) and it is also very “couples friendly” with non-private showers between the bathroom and bedroom, but I’m not sure if it’s a theme among the Andaz brand. There aren’t many on-property dining options. The quality makes up the lack of quantity. There is a bar at the pool that serves the typical drinks and food found at a poolside bar. The restaurant, Weft & Warp Art Bar, serves breakfast, lunch, and dinner, and has a happy hour everyday before dinner. I decided to get dinner at the restaurant and sat at the bar. There are talented bartenders that will make your favorite craft cocktail. I unexpectedly ended up having several drinks. 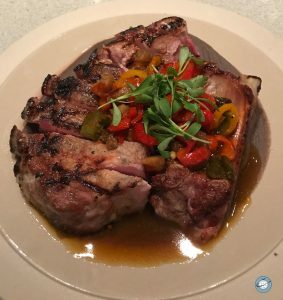 The dinner menu is fairly extensive with a-la-carte entrées starting at around $25. I was torn between getting the pork chop and flank steak. I’d usually get a steak but the pork chop was recommended to me by several people. It was absolutely delicious! The restaurant is also where I had my breakfast as there is no Regency Club at the hotel. 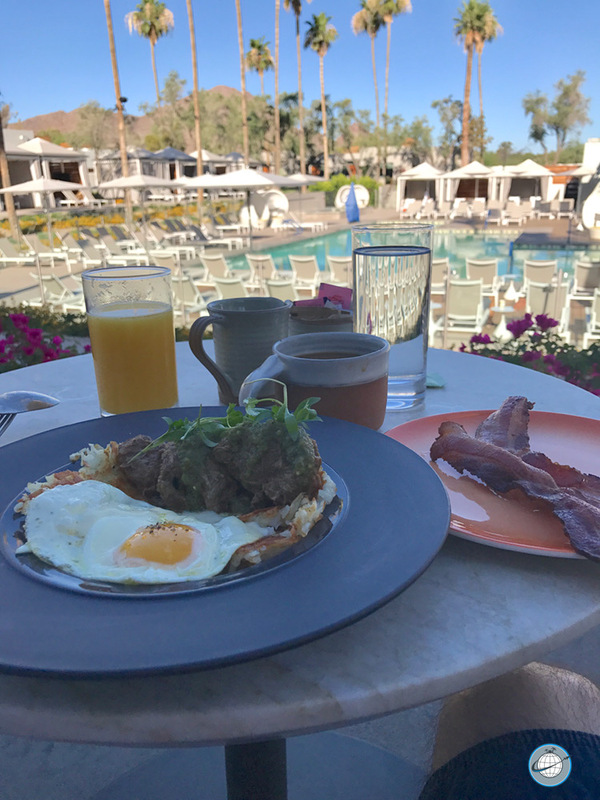 It was fairly early in the morning so I was able to sit outside and enjoy breakfast with a view of Camelback Mountain. Service was a little slow, but the food and view more than made up for it. The Dirty Hash was amazing! Cleanliness: Everything was super clean, though this does come with a footnote. Comfort: The bed was super comfortable. I slept so well, I didn’t want to get out of bed when I woke up. Location: The hotel is right off Scottsdale Rd with a beautiful view of Camelback Mountain. It is minutes to downtown Scottsdale. If you’re staying in Scottsdale, then you won’t be far from anything you’ll need/want to do. Service: The hotel staff truly made me feel welcome. I don’t think I’ve been treated so nicely at a hotel before – even compared to my stay at Aria or the all-inclusive resort in Cancun. I am knocking one star off because of the service at breakfast. Overall: I absolutely loved my stay and would love to stay there again. 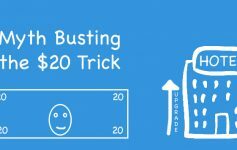 During the Summer, expect weekend rates to be around $150. Footnote: When I came back to my room after dinner, I found a rather large insect in my room. This is the desert and desert insects would have been more acceptable to me (and I’ll just kill those), but this wasn’t one of those. I called the Host (front desk). She was very embarrassed. It was absolutely not her fault. I declined an offer to move rooms (it was close to 11PM), and without hesitation she comped my dinner! Not even 5 minutes later, someone was at my door to extricate the insect. My aforementioned opinion of dinner is still my own and this did not affect my opinion. This is the first Summer the Andaz Scottsdale is open so I think this is part of being a new hotel in the desert and nature not being happy with the intrusion. Hotel management reached out to me, after I departed, about this incident and apologized about it. What is your tolerance of wildlife when you’re on vacation? Leave a comment below. Looks like a lovely place to stay. I would be all over that breakfast! Hope to see you tomorrow at the next #Flyawayfriday! Found your blog through Fly Away Friday link-up and so glad I did! Love your photos and I’m so excited to visit Scottsdale (and Sedona). 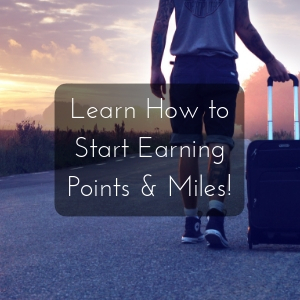 I always love to find new (new to me) travel blogs! So glad you found my blog as well. Thank you! The hotel was definitely calming. I’m not always able to relax as quickly as I did when I was there. How cool! 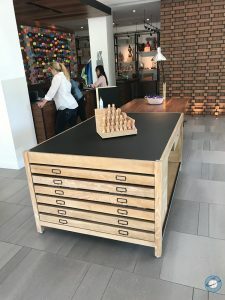 I’ve never heard of the Andaz collection, but love that they are all unique properties. Everyone loves shopping local, so why shouldn’t that apply to hotels as well? Super cool that local artists were involved, and I love the bathroom design! It is definitely cool that they have a strong relationship with the local artists. I completely agree about the shower & food. Breakfast was delicious and nice to be able to sit outside and eat it. Looks like a nice spacious room, also I wouldn’t mind having a dip in that pool, great review !! The pool was nice and relaxing! Made it easy to cool off from the heat. 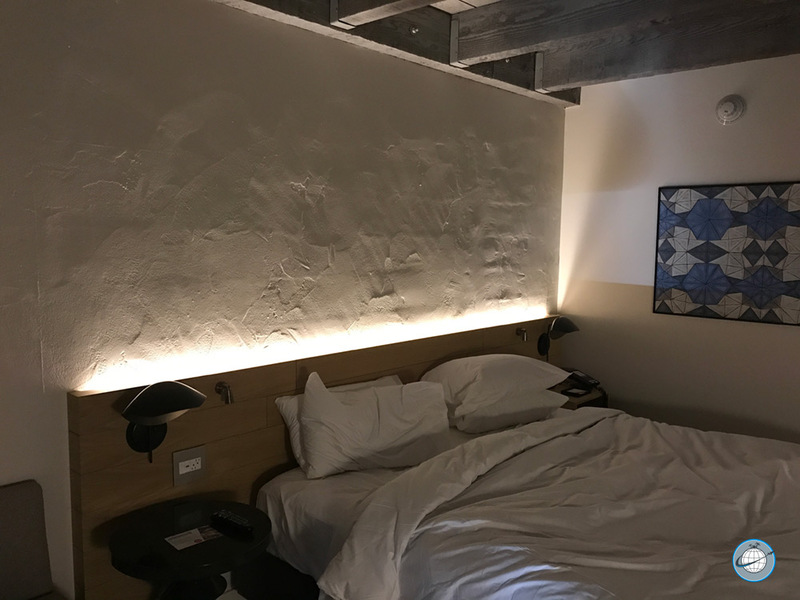 The room was super cool & the service was excellent! Only reason I didn’t switch was because it was somewhat late and I wanted to go to sleep. This looks like a really nice property! I really enjoyed my previous trip to Arizona so I will keep this location in mind for when I return. I agree that it is a nice property! It is at the top of my short list of places to stay at in the Phoenix/Scottsdale area.